We summarise some of the best Shopify case studies showing how you can make money using the Shopify ecommerce platform online. This comprehensive case study shows you the top tips and tricks to succeed with Shopify. We showcase our top 4 case study success stories and detail how each business maximised their online presence with Shopify. From a 108-year-old shoe polish company to a firefighter making wallets. From a charity helping Indian lepers to a brand making 100k in revenue in 90 days. If it can happen to these folks it can happen to you! 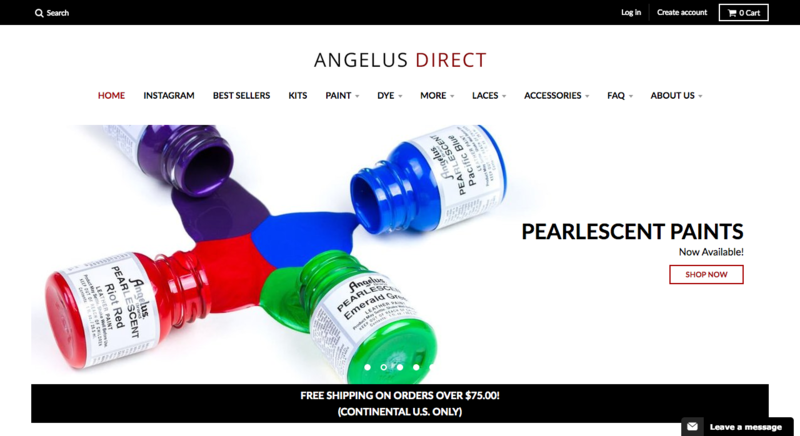 Shopify success: this Shopify case study shows you how Angelus now gets over 10,000 orders per month thanks in part to the Shopify ecommerce platform. Angelus Shoe Polish was a family-run business for 108-years before the grandson of the founder hit upon the idea of using Shopify to boost sales. Shopify spoke with Angelus about their online success and you can read the highlights of this conversation in the following article. How did you earn your first sales and what generates the most traffic and sales? “I remember starting our site on another platform – it was an awful experience. It looked terrible and [we] received very few orders. “I remember being disheartened because the platform was not very friendly with their customer support and everything required some level of coding. “Then I found Shopify, which opened our world completely. Their robust platform makes it easy to pick and choose and make new decisions you would be terrified doing in another platform. The brand started to make their own in house Youtube videos however they didn’t like them. Despite their own criticism (we can often be our worst critics), people actually loved watching these video. They taught them about something they may have never known about. Angelus now produce professionally made brand videos and they are huge in raising brand awareness and showing people how their craft is done. They are also thankful to Shopify for connecting them with trusted industry partners. Partners such as a Google Adwords analyst, an SEO manager and a tech team to help them grow and scale online, pushing their company the forefront of their industry. What tools and apps do you use to handle shipping and fulfilment? “I use numerous applications to keep my business running. Shopify can really be a powerhouse if you know what you’re doing. “I was recently featured on Coupon Pop in a study because one of their applications helped us so much; we receive over 500 followers on Facebook and Instagram every week thanks to them! I would easily say it’s one of the most valuable apps we use. Shopify Tip: Yotpo is a customer review and user-generated content (UGC) marketing platform for online businesses like Angelus. You can get customer reviews, setup forums and photos to engage with your consumer. This helps to promote your content across various platforms such as Google and Instagram. 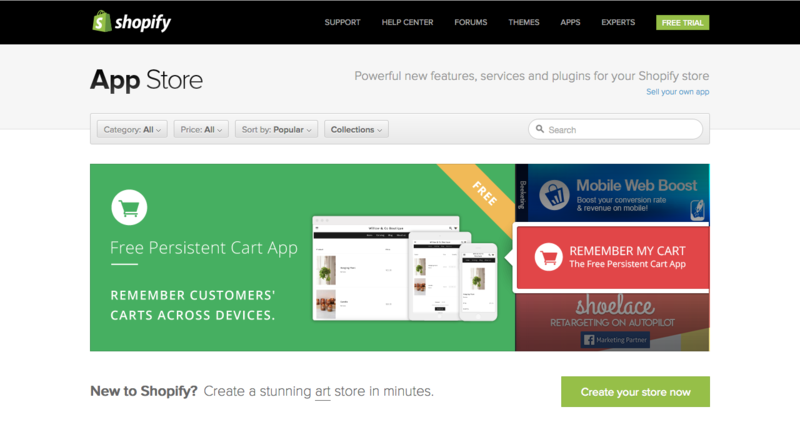 Yotpo is available as an app through the Shopify app store. 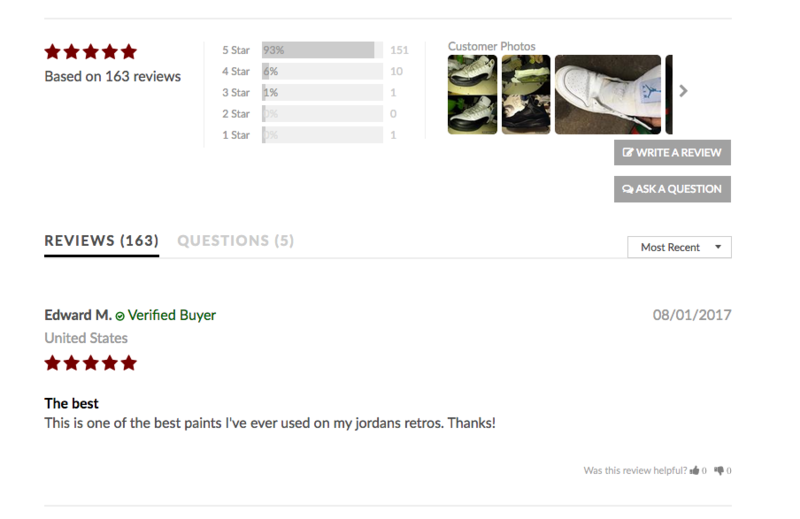 Image: Customer reviews and user generated photos. How does an app like Yotpo help a company like Angelus? The app, once is integrates with a Shopify store like Angelus Direct, allows customer reviews to be displayed on the site. This can be extremely powerful if you have an engaging product and raving fans. Yotpo reviews offer a multitude of benefits including boosting both organic search results and Google ads by showing the 1000+ 5-star reviews to entice customers. Better Coupon Box – help turn every visitor into a potential customer on your website. What are your top recommendations for online retailers? 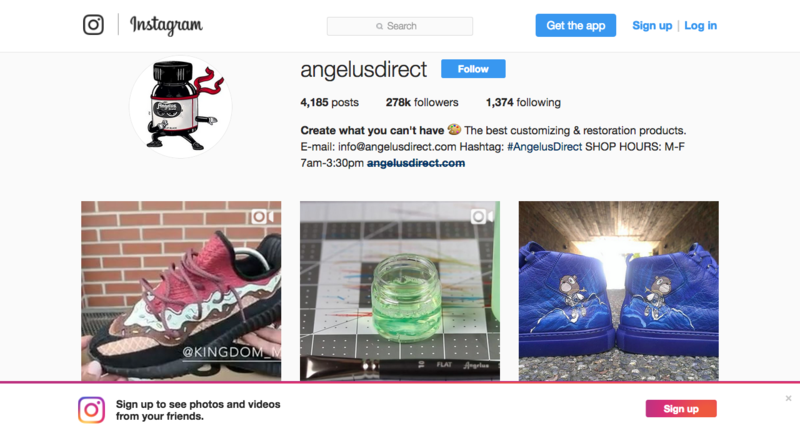 Angelus Direct Instagram account with 278k followers. “We have over 125k (at time of interview) followers on Instagram, 34k on Facebook, and 35k on YouTube. They are a revolving door of sales. We show potential customers examples of what they can achieve using our products and we love to display artists and fans on our page for support. Don’t try to tackle all your issues at once. Seek out free apps to use for automation and upgrade to paid versions once you establish their role in your business. Try to get your site to run itself so you can spend your time growing your brand online. If it can happen to Angelus Direct it can happen to you. …How my brother’s ecommerce store made $3,348 in 10 minutes! 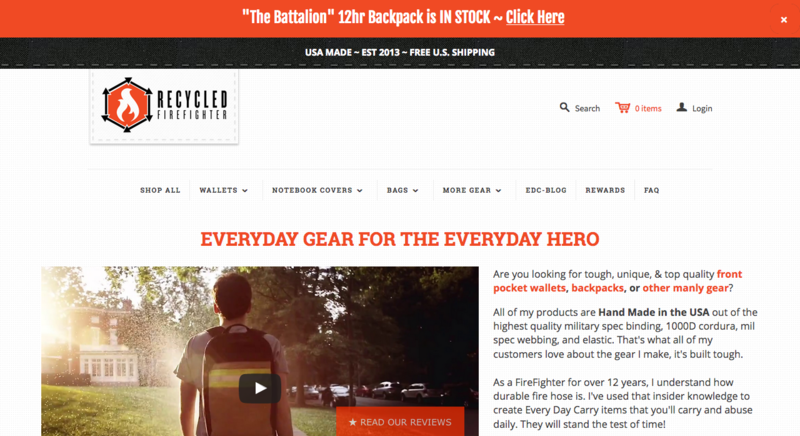 Image: the Recycled Firefighter homepage. Read extracts of a fascinating interview published by Solid Giant on this ultra-successful ecommerce brand. “I was sitting in my office sweating while staring at the countdown timer. Time itself seemed to stand still. I was both excited and nervous, after weeks of preparation and hard work I was about to go live with a new product I helped my brother launch. This was the moment of truth. Would I fail miserably? Crack under the pressure? 3, 2, 1. “I hit the publish button. What happened next still blows me away as I write this. Orders started pouring in. One, Two, Ten, Fifty, Hundred. “In ten minutes we had sold $3,348 of the new product. And by the end of the week we had sold $10,000 worth. Now there are many ecommerce success stories out there detailing varying degrees of success. 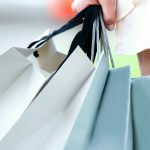 What I think is the common thread between the case studies in this blog post is how each brand has carved out a unique niche and offer the customer a solid value proposition. Each brand offers specialist services/products and appear to have an ethos that shows 100% commitment to their offering. The best thing you can do for your business is to be clear about your brand and your offering. Often, new product ideas take time to ferment and develop. You need to think about why a customer would buy your product over someone else’s product. 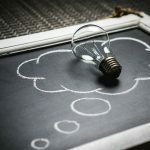 How would a potential customer connect with your brand and what is your authentic story? Points to consider include professional web design services, social media engagement and building a sense of anticipation. 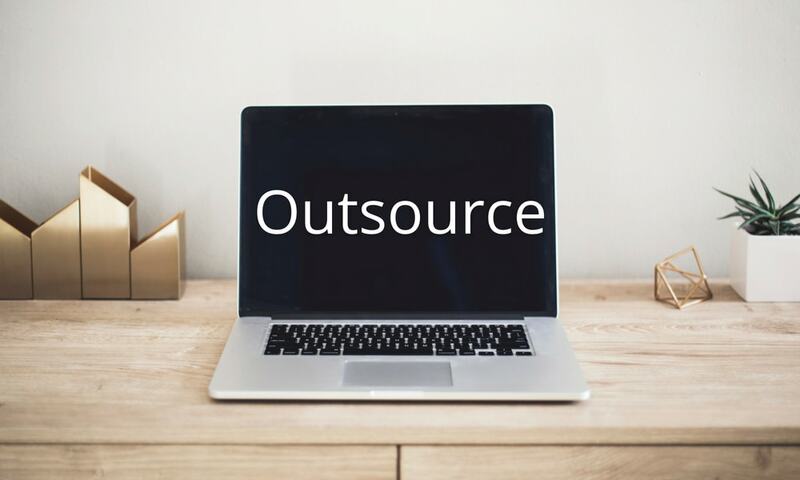 “It’s in your best interest to have a quality ecommerce software system that can handle the traffic as well as order volume that you’ll be generating. Don’t just spring for an online store because it’s cheap. I recommend Shopify. “Shopify is the main reason why we sold $3,348 in ten minutes. If you can successfully harness the power of social media, you will be armed with a very effective, and powerful, tool to grow your business. The potential for brand exposure, and subsequent sales, through social media is a potential gold mine if done well. You need to identify the places where your target audience hang out online. Are they on LinkedIn, are they in Facebook groups, can you find them on Instagram? Once you have found them, you need them to follow you. If you can find a way to connect with your target market and add value to their lives, you are on the right path. 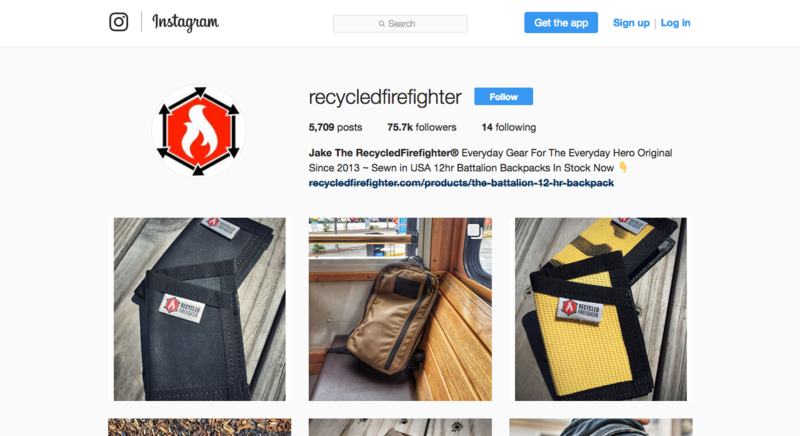 Image: Recycled Firefighter Instagram page with over 75k followers. Image: Recycled Firefighter Facebook page with over 44k likes. So you have the best new product in the world…how do you build buzz and excitement prior to launch? You need to focus on how the product affects your customers. Stop talking about ‘features’ and start talking about ‘benefits’. Better yet, don’t talk about your product, show customers how your product works or how it will enhance their lives. In the case of Recycled Firefighters, they mastered the skill of building anticipation prior to launch. They added a countdown timer on the homepage of their Shopify site as well as on their product pages. They informed their Instagram community of the upcoming launch and countdown to get the word out. But how do I build a community if I’m not selling anything yet? It depends on your approach. If you want to start generating PR and buzz before launch date (or while you are still developing your website or putting the final pieces in place) you could activate all your social channels and start posting about news and events in your industry. Write press releases about your brand or common problems that your product aims to solve. If your website has a blog you could start publishing a library of content to help drive organic traffic to your site. Capture visitors email addresses via a Mailchimp sign up form. Offer them a pre release or first round sales offering before you go live to the public. Is it possible to make $3.3k in ten minutes? Yes – if you have done your homework and put in the hard yards. 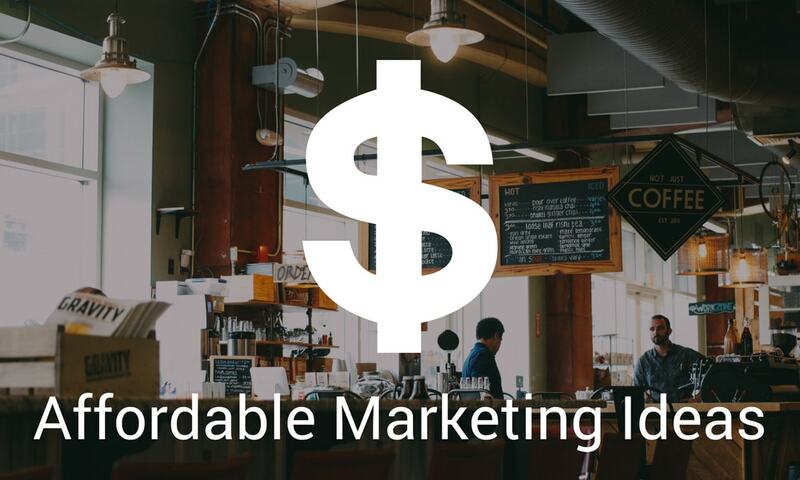 You can make money using Shopify and these case studies demonstrate that. 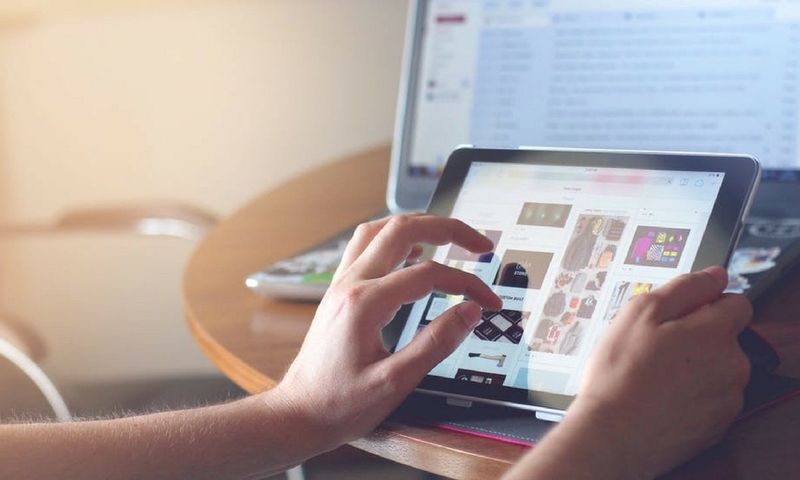 These case studies also demonstrate a 100% commitment by the business owner to their product, their ecommerce infrastructure and their legion of followers. 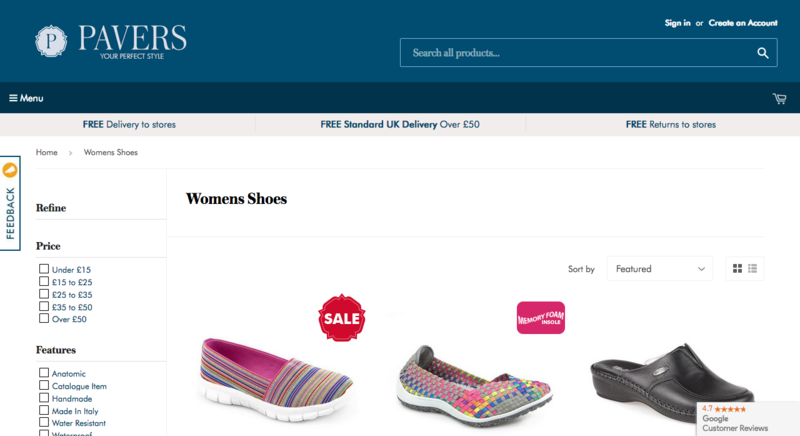 Image: Pavers online shoe store powered by Shopify Plus. Pavers is a UK-based shoe company that has been selling shoes to their loyal base of customers since 1971. Founded by Catherine Pavers, the brand started with a single store in the UK and now boasts over 120 locations primarily catering to the UK and Ireland. Today, Pavers is still a family business that actively supports charitable causes. One reason why Pavers is able to extend a charitable hand to those in need is in part due to their increased revenue from their online platform. Being a profitable company, they decided to donate part of their profits to help fund a ‘shoe van’ project that provided shoes to the needy in the streets of India. Each week, a number of specialised vans fan out over India and create unique footwear for those in need. What ecommerce platform: Shopify or Magento? Ecommerce boss Simon Collins initially chose Magento as the company’s ecommerce platform. However this choice proved to be time consuming as it took 10 months to get Pavers up and running. Collins says Pavers’ proprietary ERP system was difficult to reconcile with Magneto and he found it costly, time consuming and sometimes ineffective. Pavers hired an agency to make changes and often ran out of budget before adding the latest features. After three-years, Collins came up with a brilliant idea to solve Pavers’ dilemma: a stealth test site. A new site was secretly launched using a separate domain powered by a competing website platform. The results shocked Collins and positioned Pavers to continue its many charitable projects. “The move from Magento to Shopify Plus is turning out to be one of the best decisions we’ve ever made,” Collins said. Shopify Plus is an enterprise ecommerce solution for higher volume merchants. It is more flexible and can be customised quickly. Collins and his team self-built their Shopify site saving thousands on design and development costs. “The significant improvement in mobile conversions is a nice bloody surprise,” Collins says with a laugh. How to I succeed with Shopify? Thanks to Shopify, Pavers will double its online sales in the near future while adding further efficiencies and functions. With the savings gained from migrating from Magneto to Shopify, Pavers plan for a more seamless shopping experience by tying all its sales channels together. 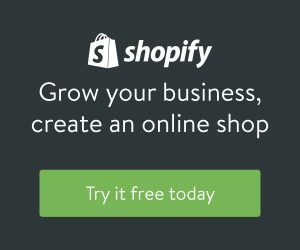 By switching to Shopify, you’ll improve your company and get it to what really matters – growing your online sales and satisfying customers.